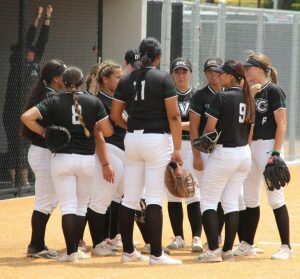 After a 4-3 victory in Game 2, the season ends for Diablo Valley College softball as they fall to the Ohlone College Renegades in Game 3, by a final score of 10-0 to be eliminated in the first round of the California Community College Athletic Association NorCal Regionals on Saturday in Fremont. Game 2 saw the Vikings take the early 3-0 lead in the first inning. The Renegades eventually climbed their way back to tie the game 3-3 in the sixth inning. 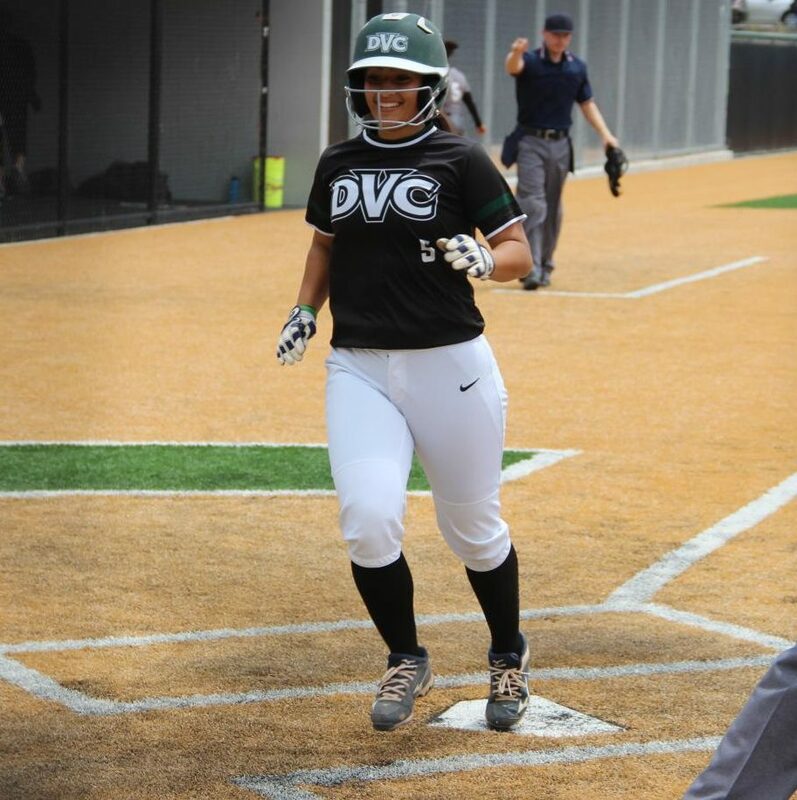 However, in the seventh and final inning, DVC third baseman Mariah Schuchart made her way home from first base after a series of Ohlone errors to give her team the 4-3 lead headed into the bottom of the seventh. Mariah Schuchart scoring the go-ahead run in the seventh inning of Game 2. The final inning was a nail-biter for the Vikings. 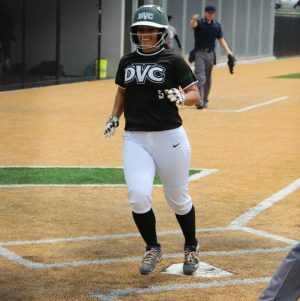 With the tying and go-ahead runs on second and third base, DVC pitcher Sita Manoa had to navigate herself out of a jam. She managed to get a groundout to secure the complete-game victory for her 19th win of the season and force a winner-take-all Game 3. DVC head coach Dennis Luquet was pleased with his team that "just played a great game on defense" after losing yesterday's game due to costly errors. He told them they needed to continue that and keep the Ohlone offense off the scoreboard. Game 3, the second of a doubleheader on the day, was a different story. An eight-run second inning proved to cost the game. 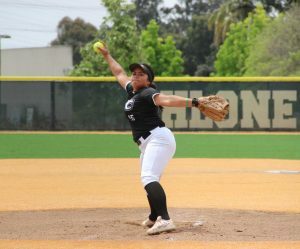 Not only did Ohlone knocked out DVC starting pitcher Brittany Martinez, but the Renegades also forced Luquet to bring Manoa back in the game after pitching a complete game an hour earlier. 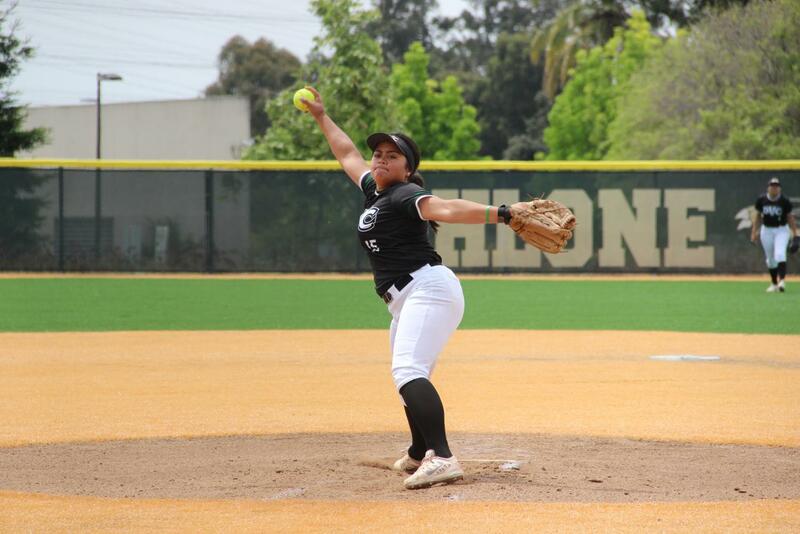 Sophomore Sita Manoa in her last start as a Viking against Ohlone. "It was sad because I thought we really had it," said Manoa. "For us, it was just that second inning that killed us." In that second inning, Ohlone hit numerous balls that were just inches off of the gloves of the Viking defenders. The Renegades did much of their damage with two outs, forcing the Vikings to prolong the inning much longer than they would like. "It's the softball gods," said Luquet. "Some games the softball gods are with you and some games you're just a little off." Those gods Luquet mentioned did not seem to be with the Vikings in Game 3 as the game ended prematurely in the fifth inning due to softball's eight-run mercy rule. However, after the game, Luquet was not so much down after the blowout loss to end their season. Instead, he heaped praise on the sophomores who played their last game in a DVC uniform and led their team to a birth in the state playoffs. Luquet said that, though a small number of sophomores may have diminished the experience on the field during playoff games, he is optimistic for next year's team. Six of nine in the starting lineup were freshmen are expected to come back next year and contribute their experience to a winning season next year. "Our freshmen got a lot of experience and that's what we told them: this will help you guys for next year," said Luquet. "Now it's my job to recruit some new kids for next year to fill in, and then we can have a really solid team and we will." Please click HERE for more articles from The Inquirer.